Clarksville, TN – U.S. Army ROTC cadets selected for the inaugural class of the Army ROTC Hall of Fame. More than 300 former cadets will be inducted into the Hall of Fame during a ceremony at Fort Knox, Kentucky on June 10th that will also celebrate the 100th anniversary of the Army ROTC program. 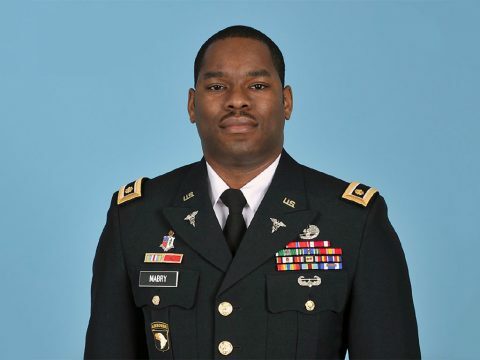 Mabry began his military career as a four-year JROTC Cadet at NEHS, eventually becoming a Senior ROTC four-year advanced designee scholarship winner for the graduating class of 2000. After graduating from APSU in 2004, Mabry earned a commission as a second lieutenant in the Army Medical Service Corps. A Clarksville native and the grandson of a enlisted Air Force airman and son of a civilian military employee, Mabry said his life has always been intertwined with the armed forces. But an encounter with the NEHS JROTC program was what Mabry said set his future in motion. ROTC’s core values of loyalty, duty, respect, personal courage, honor, integrity and selfless service were instilled in Mabry by his commanding officers at both NEHS and APSU. In addition to his current assignment as an Army Behavioral Science Officer, currently serving as Deputy Chief for the Department of Behavioral Health at Fort Campbell, Mabry’s career highlights include assignments as the MEDEVAC Platoon Leader for the 506th Infantry Regiment (Band of Brothers), Medical Treatment and Trauma Officer for East Baghdad and Sadr City, Iraq, Medical Chief Information Officer (CIO) for Winn Army Community Hospital and Behavioral Health Officer for 159th Combat Aviation Brigade, Fort Campbell, Kentucky. In addition to his duties as Deputy Chief of Behavioral Health, Mabry serves as the advisor to the 101st Division Artillery (DIVARTY) Brigade Commander for all soldier mental health issues. Mabry’s notable award highlights include the Combat Medical Badge, Bronze Star Medal, Meritorious Service Medal, Air Assault Badge and the DANCON March Medal (Bronze). 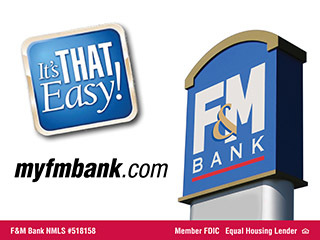 Mabry holds multiple advanced degrees, including a Master of Arts from Webster University in information technology management, a Master of Social Work from Fayetteville State University and a Doctor of Psychology from California Southern University. Mabry said his induction into the ROTC Hall of Fame is a credit to the leadership of the many men and women he has served under during his time in the military. “Having spent eight years as a cadet, followed by 12 years of active service, I’ve been mentored by several NCO’s and officers, so to receive this recognition confirms they’ve made a difference in my life and their careers,” Mabry said. “The ROTC program has produced brilliant military strategist such as General Colin Powell, champions like (former Notre Dame football coach) Lou Holtz and famous actors like James Earl Jones. Just to be a notable ROTC alum is a humbling prospect. I consider induction into the National ROTC Hall of Fame as a mid-career azimuth check.